This large serving platter is an Ahrenfeldt designed pattern that was produced between 1884 and 1894. 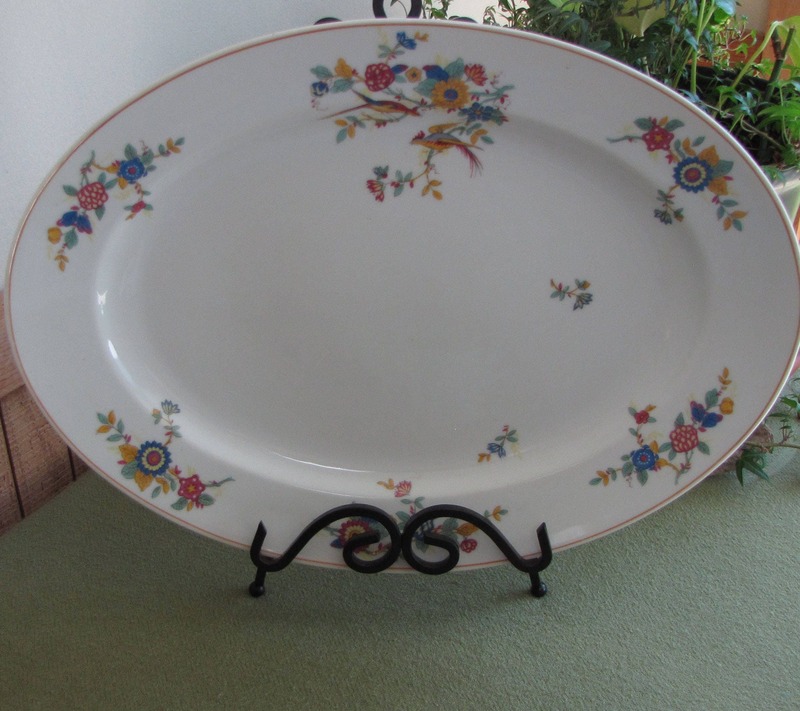 The platter measures 16 x 12 inches. 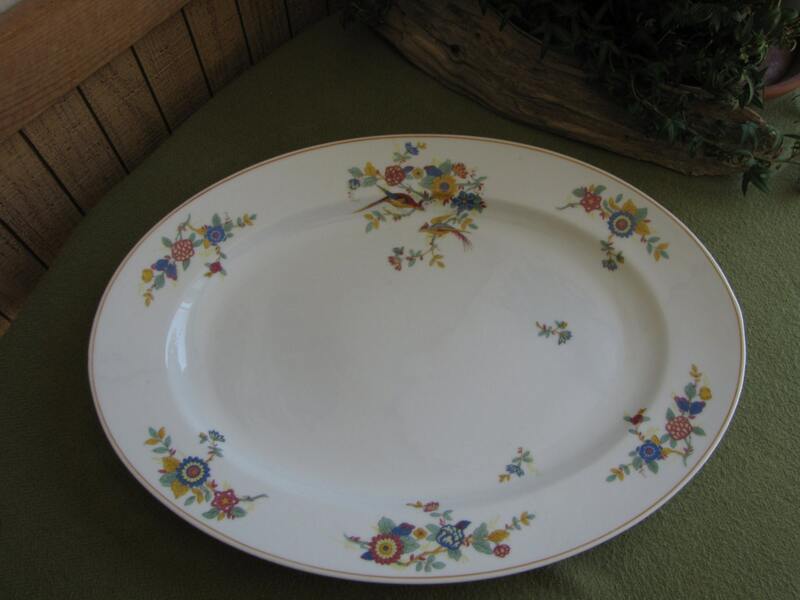 In very good antique condition the platter has some smudges in the glaze on the surface; maybe utensil marks but to me it looks like the glaze was smudged. 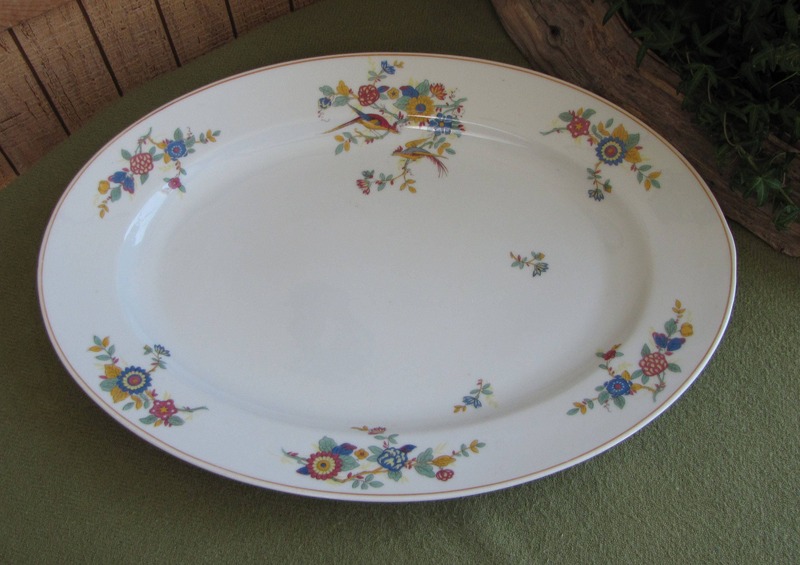 The right side of the platter has a bump that the left side does not have, in the oval shape. You can tell it is hand tossed. 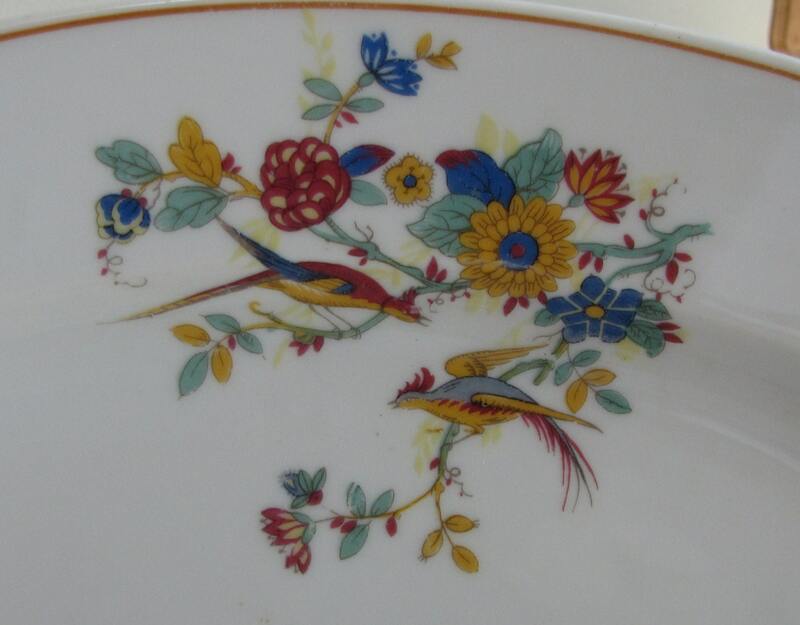 Charles AHRENFELDT (1807-1894) was born in Germany and imported porcelain into New York City in the 1830s. During the 1840s he moved to Paris and had a decorating studio. Sometime between 1859 and the late 1860s he established an exporting firm in Limoges and developed an export market to North America. 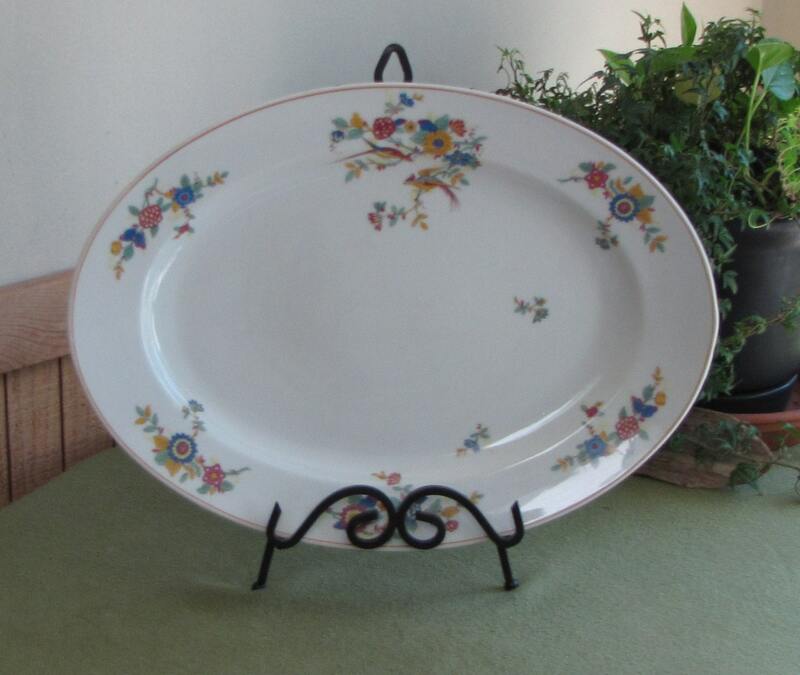 In 1884, he started decorating the porcelains in Limoges where he established a porcelain factory. The son Charles J. Ahrenfeldt (1856-1934) took over this porcelain factory in 1894, upon his father’s death. 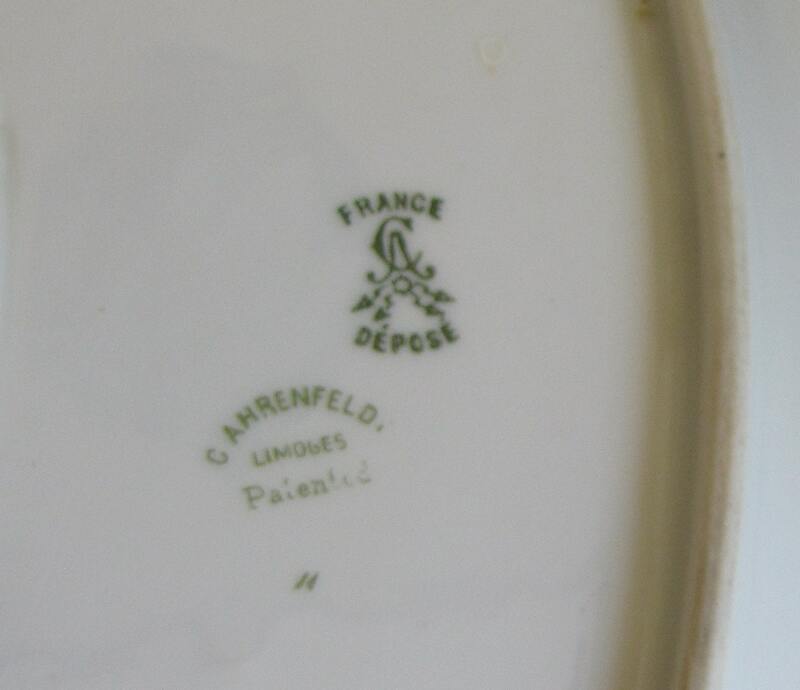 In 1896 he built a porcelain factory in the Montjovis district of Limoges. The McKinley Act required that all imports to be stamped with their country of origin in 1891. That narrows down the timeline on this piece a bit.